Located in Bismarck, N.D., the Acceleration Center is currently one of only a few test lab facilities of its kind in North America to achieve LEED certification — the most widely used green building rating system in the world and a globally recognized symbol of sustainability achievement. Doosan Bobcat North America's Acceleration Center — a key engineering facility for all Bobcat compact equipment — is now Leadership in Energy and Environmental Design (LEED) certified. Located in Bismarck, N.D., the Acceleration Center is currently one of only a few test lab facilities of its kind in North America to achieve LEED certification — the most widely used green building rating system in the world and a globally recognized symbol of sustainability achievement. The building earned high marks across several categories, including design and innovation and indoor environmental quality. From the lobby entrance to office environment, the facility was designed for accelerated innovation. 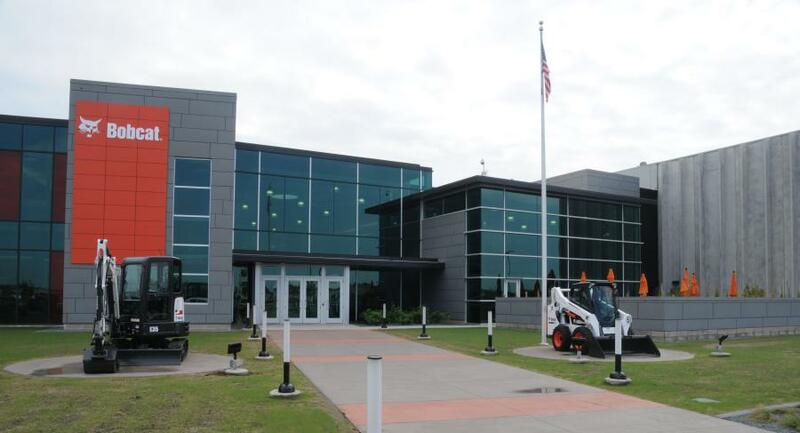 Doosan Bobcat completed the $28 million renovation project in 2015, which involved the expansion of an existing building to include office and lab space, classrooms and demonstration areas, and both indoor and outdoor machine operation areas. The facility has two stories and 190,000 sq. ft. under one roof, with an additional 22 acres of outdoor test and product development space. In addition, the space is equipped with modern devices, tools and software systems that expedite leading-edge engineering, and product and process development to meet customers' growing needs.